DescriptionAlcina Active Peeling is the ideal skin-care product to achieve a soft and even complexion and beautiful-looking skin. Thanks to the microfine silica particles in Active Peeling, dry flaky skin is gently removed and the facial skin is optimally prepared for the application of subsequent cosmetics, e.g., self-tanning products, as well as deep-action care products. 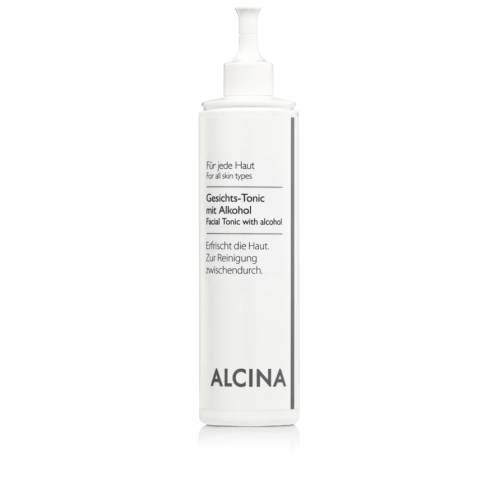 DescriptionThe water-soluble Cleansing Milk from Alcina with essential grape seed oil cleanses the skin thanks to its wonderfully mild emulsion formula and thus prevents it from drying out and feeling tight. This means Alcina starts caring for the skin even during gentle facial cleansing and make-up removal. The cleansing lotion's creamy formula means that the skin irritations which often occur on sensitive and dry skin after cleansing are avoided. 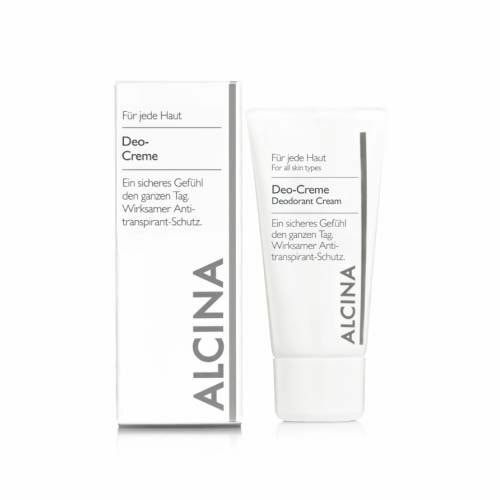 DescriptionThe oil-free Alcina Cleansing Gel with zinc and aloe vera is perfect for cleansing all skin types, including sensitive and impure skin. Given its intensive cleansing formula, the Cleansing Gel refreshes and revitalises the face for an immediate clean and clear sensation without any unpleasant feeling of dryness. 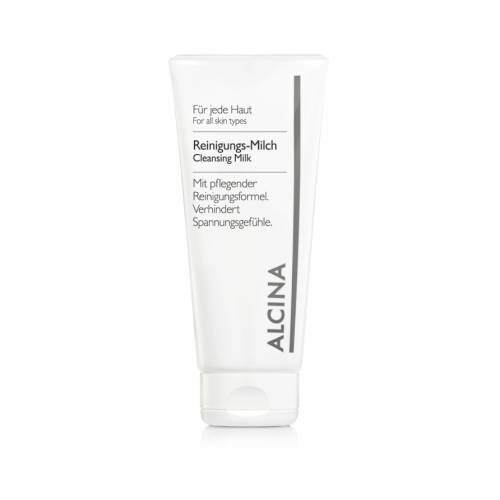 DescriptionThe mild Cleansing Foam from Alcina is ideal for cleansing all facial skin types and is particularly well-suited to sensitive and slightly irritated skin. The special active formula of this rich and creamy Cleansing Foam with lipid-replenishing properties gently cleanses the skin deep into the pores and contains no colorants. Premium ingredients including panthenol (provitamin B5) soothe the face, add moisture and nourish and pamper the skin even during cleansing. 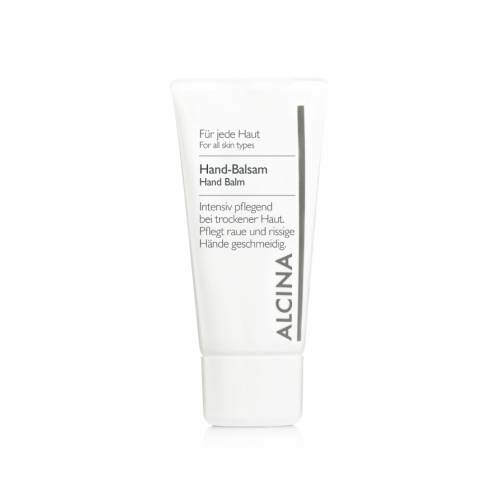 DescriptionThe Alcina Hand Balm is the ideal intensive care product for dry skin. Thanks to the special ingredients with 5% urea, panthenol and allantoin, this Hand Cream is the ideal choice for very dry and cracked skin. The Hand Balm provides intensive care for sensitive hands, leaving them feeling soft and supple again. 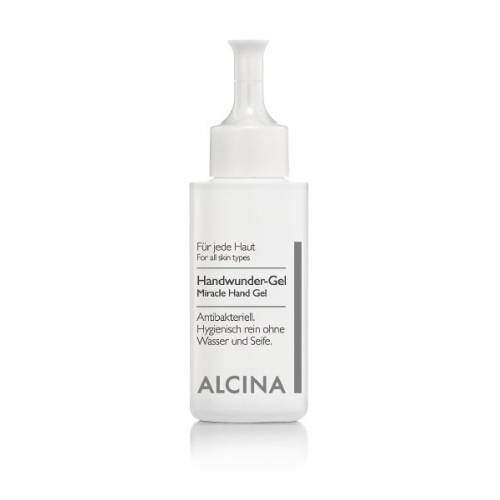 The Alcina Hand Balm also makes a perfect hand mask. A fine gel with antibacterial effect belongs to every handbag. You will also appreciate it on the go. Do you want to have sun-kissed skin all year round? Skin care cream for natural skin tanned look is suitable for both body and face. It performs in a few hours. DescriptionThis Alcina Deodorant Cream with aluminium salt and allantoin offers effective antiperspirant protection you can trust in all day long. This special deodorant combines the advantages of an antiperspirant with the nourishing properties of a cream. The Alcina Deodorant Cream is alcohol-free which makes it a great alternative to conventional deodorant sprays for sensitive skin. 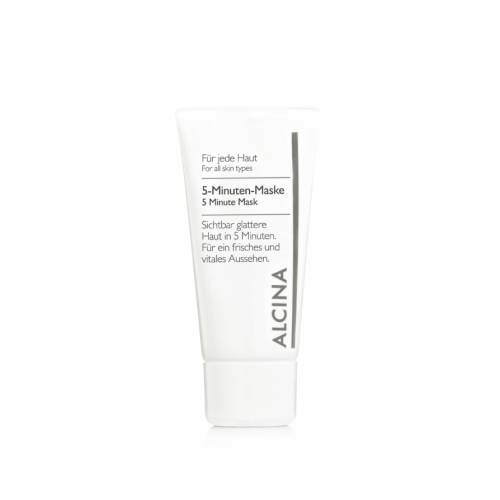 DescriptionThe Alcina 5 Minute Mask with immediate effect provides stressed and tired skin with immediate freshness and vitality. The exclusive formula with natural red wine extract (polyphenols) results in visibly smoother skin and a tangibly improved complexion. DescriptionThis Alcina Facial Tonic with alcohol and extracts of cactus pear and lactate cleanses the face deep down and eradicates skin impurities. With 8% alcohol, this final cleansing step can be used to freshen up the face whenever desired. The Facial Tonic without alcohol from Alcina with cactus pear extracts has been specially tailored to the needs of sensitive facial skin. 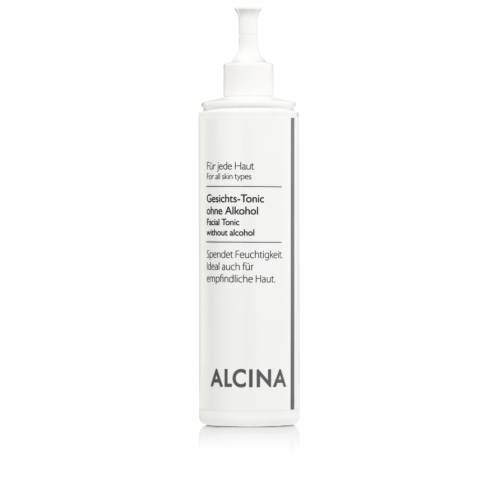 Without alcohol, the Facial Tonic from Alcina is ideal for gentle and deep facial cleansing and also supplies the skin with essential moisture.